Designed with simplicity and technological prowess, the new SMOK INFINIX Ultra Portable Kit is a premiere combination of portability and easy of use within a striking chassis with 250mAh rechargeable and refillable 2mL pods. Featuring a sleek chassis design with sharp lines and futuristic styling, the INFINIX is created with a streamline form factor for easy handling. Internally, SMOK has managed to integrate a 250mAh internal battery within the INFINIX, with LED light indicator to provide instant battery life feedback and is conveniently charged via microUSB port. 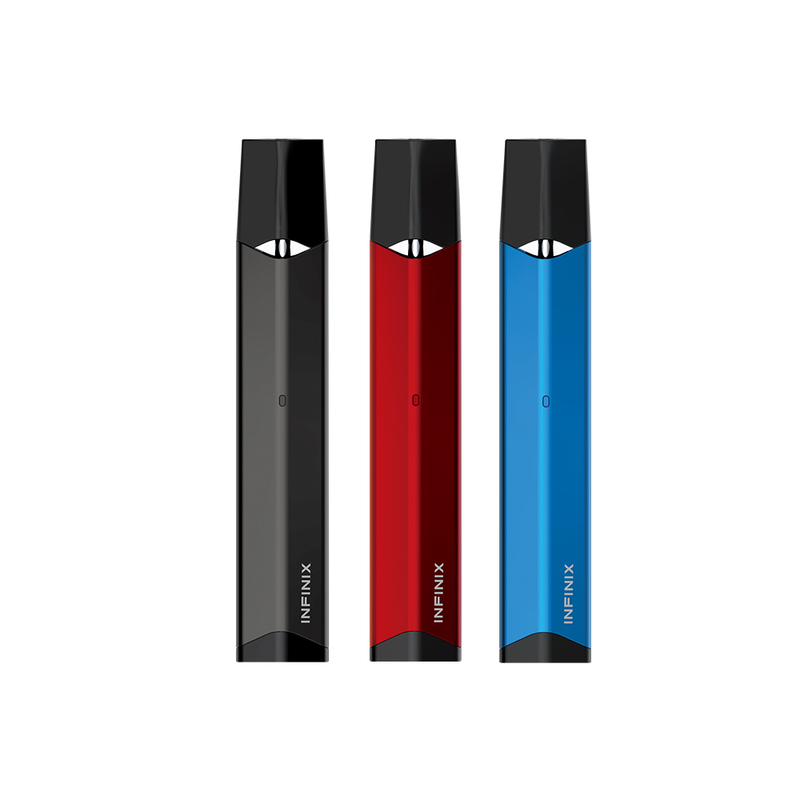 Operationally, the INFINIX Pod System is activated by a draw-activated mechanism with a simple draw inhale, with a wattage range of 10 to 16W. 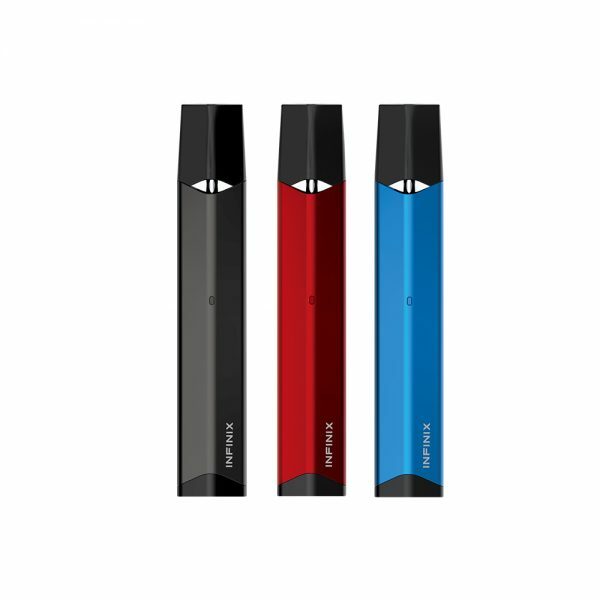 The replaceable cartridge features a fillable pod element with a capacity of up to 2mL juice capacity, cleverly designed with simple side refill method on the side enclosed by a rubber plug. The atomizer core is integrated into the pod, utilizing a special cotton that is enclosed to provide optimal vapor production and flavor enhancement. Entering the new generation of all-in-one systems with a beautifully crafted unit, the SMOK INFINIX is destined for success in this vape market segment. Inexpensive and works great. Replacement pods are very cheap and work much better than the 2 included in the kit. Coils prime very quickly (in 5 mins). Has a much nicer draw and more comfortable to vape on compared to the Smok fit. Charges very quickly (20-30 mins) and you can still vape on it while it’s charging which is a nice feature. I love this pod system. It is much better than a few others that I’ve tried.